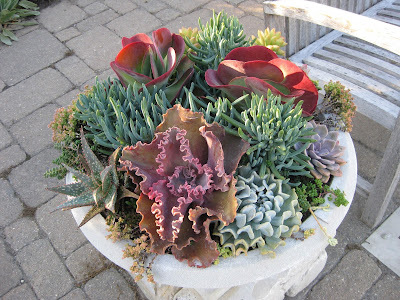 The arctic temperatures continued today so I thought I’d insert some “visual warmth” in to the blog today with lots of interesting succulents that prefer the temperature about 80 degrees F warmer! More on these neat plants can be seen further below. Big John and Larry H. jumped right in to processing lights for the Holiday Light Show (HLS). 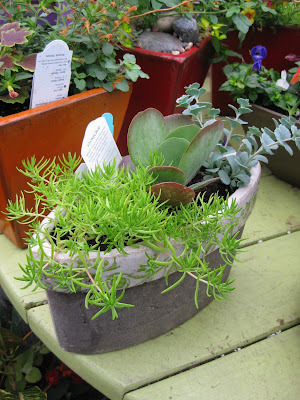 Dr. Gredler was in for some painting and we saw a couple of others at the Horticulture Center including Urban and Bill O. I’m starting to order more seeds with a heavy focus on vegetables that will be part of our offerings at the Spring Plant Sale on Mother’s Day weekend in May. We’ll also have lots of herbs, perennials and shrubs too! 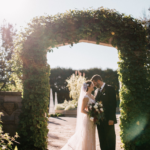 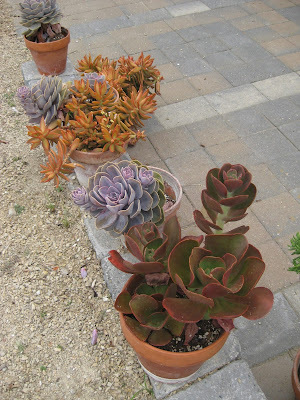 While I’m promoting succulents in this blog, it’s important to note that we don’t use many of them at the gardens although their popularity seems to increase annually. The broad definition of a succulent is a drought tolerant plant that has thickened, fleshy leaves, stems and/or roots that have developed to store and conserve moisture. Succulents have a long history of use in “drier climate gardening” and are of course, native to those types of regions around the world. 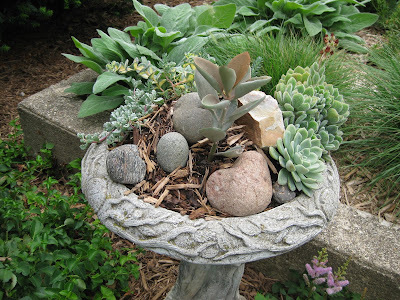 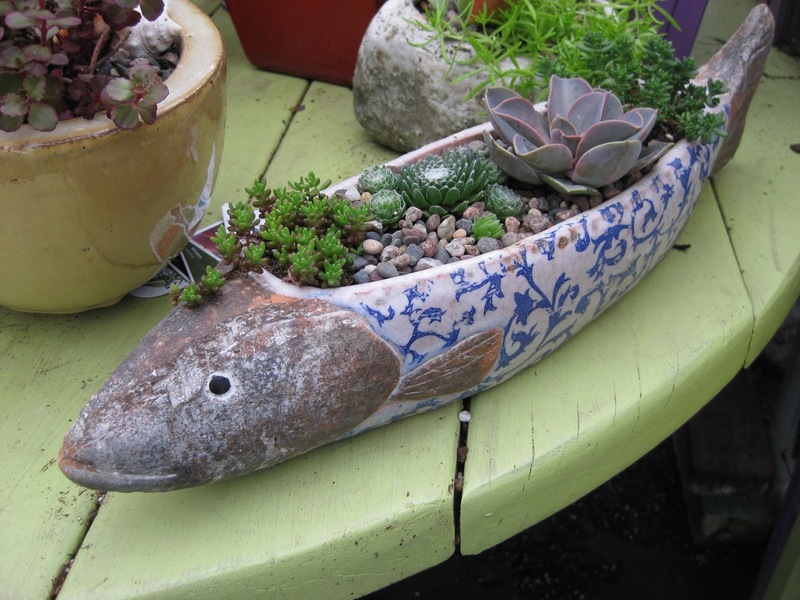 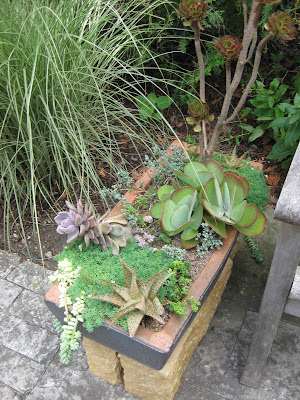 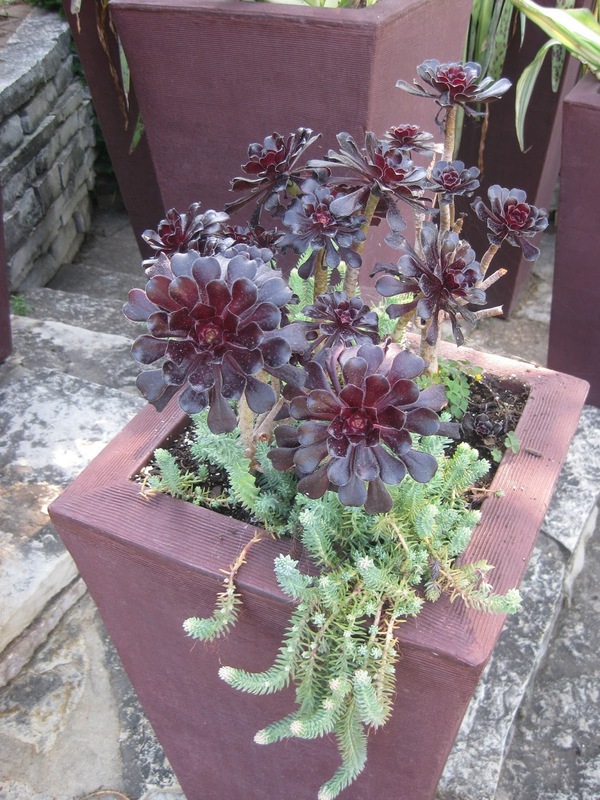 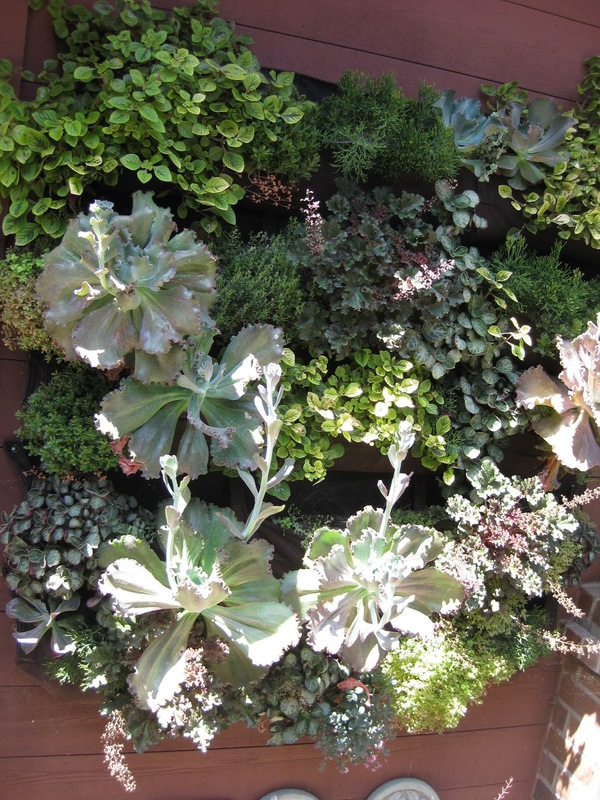 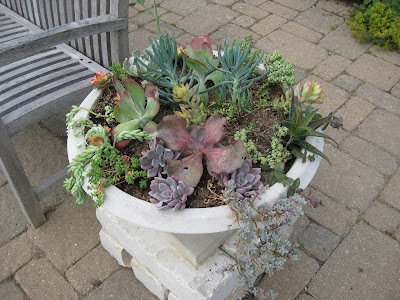 Garden use of succulents in Northern climates has had a strong focus on incorporation in to containers for enjoyment during the hotter portions of the year. Many of these are not winter hardy here so would need some winter treatment or storage in a warmer location. 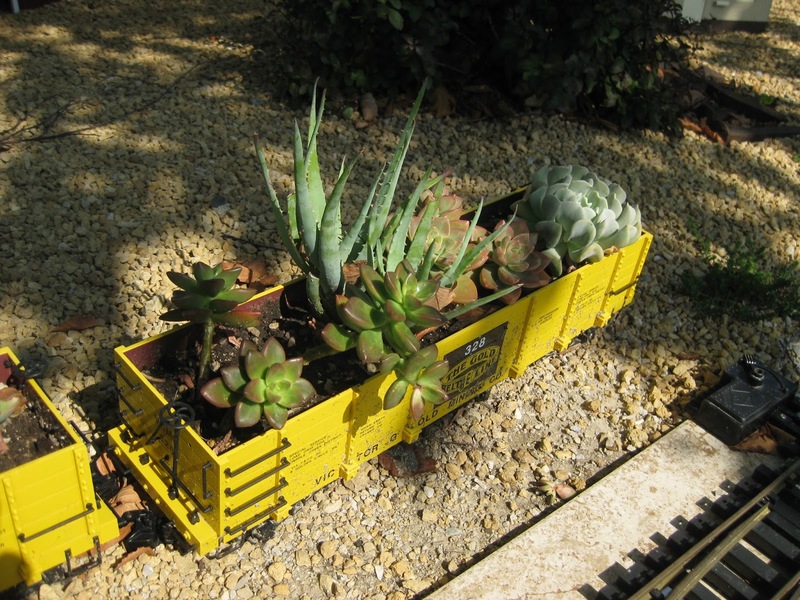 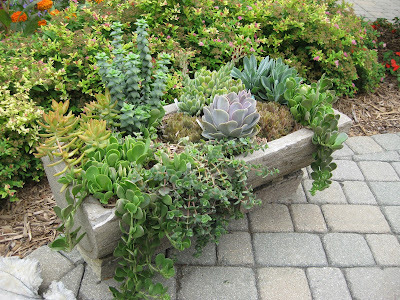 Their drought tolerance makes succulents excellent candidates for full sun containers that wont receive a lot of moisture. 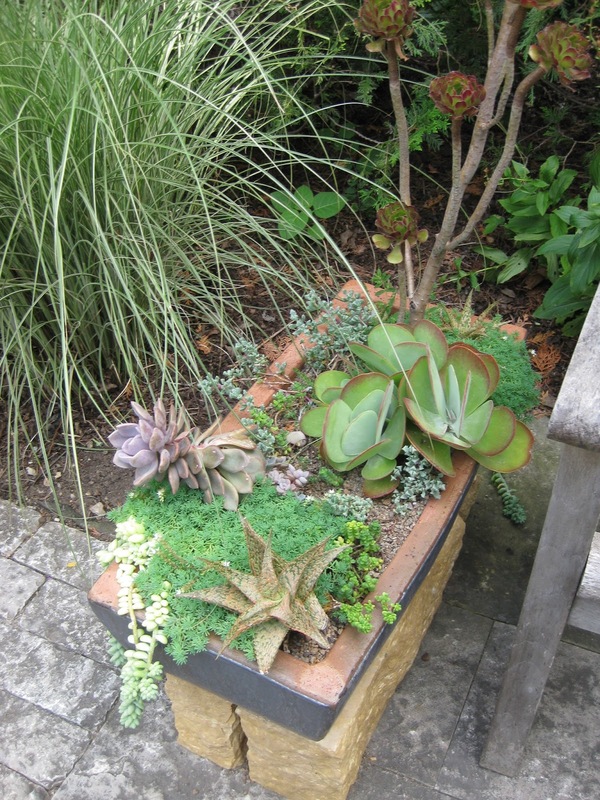 Keep in mind that appropriate soils and drainage are vital in these situations and should be given due consideration. There are MANY container examples below which I’ve photographed over the years. 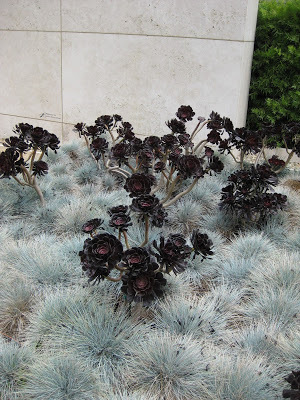 I love succulents like the dark Aeonium ‘Zwartkop’ seen above and this past summer, many of the trial gardens I visited had a wide range of exciting selections with the primary feature being foliage. 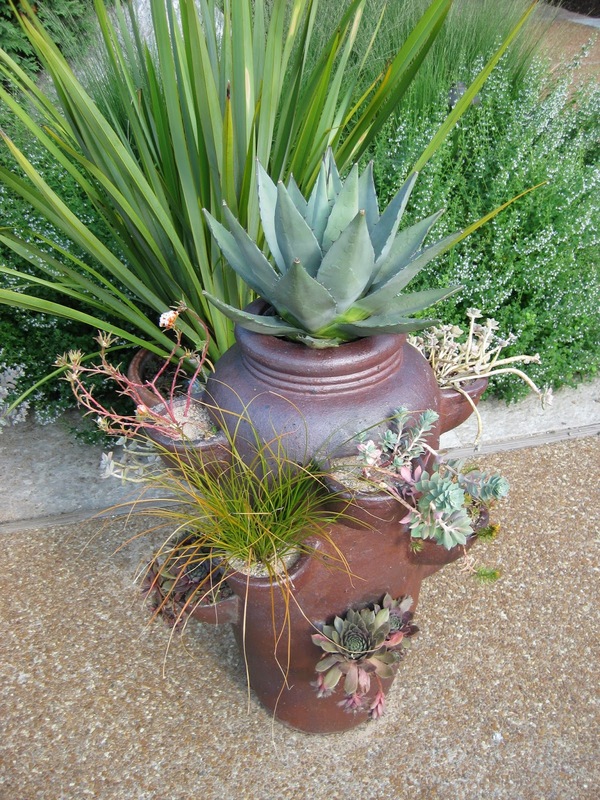 Many will flower nicely as well but note the beauty in form and foliage. 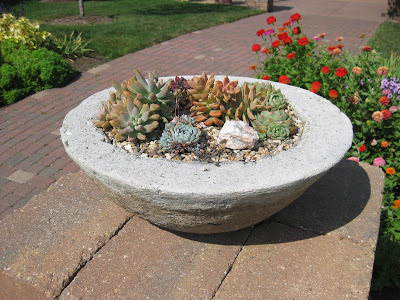 My concern with using many of these at the gardens is simply, “What do we do with them from October through April until we can get them outside again?”. A heated greenhouse would be the answer but regardless, consider succulents in your palette as the available options will only be increasing over the coming years.